Description: Abortion techniques in all three trimesters are sensitively explained showing surgical tools and non-graphic medical illustrations. It also covers and explains Plan B as well as RU 486. Use this powerful teaching tool to reach hearts and minds in the decision for life. 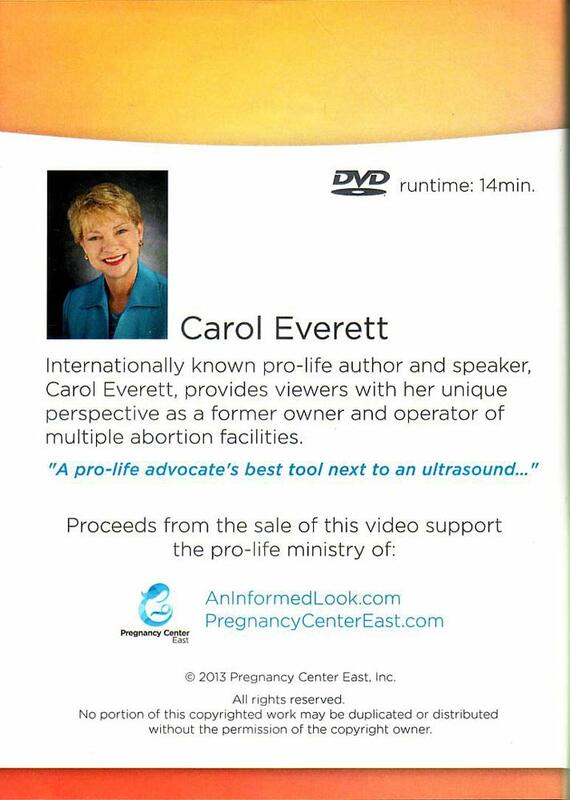 Carol Everett, internationally known Pro-Life author and speaker, provides viewers with her unique perspective as a former owner and operator of abortion facilities. 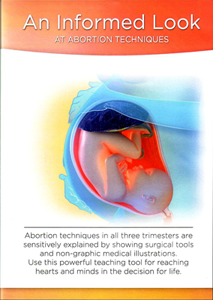 This DVD is your best tool next to an ultrasound (Update of former DVD A Pro-Life Look at Abortion Techniques). 2013. I have shared this video with my board, volunteers, and especially several clients. It is direct and effective. It is important that we have a good resource such as this in our Pregnancy Resource Centers. This would be great for Sanctity of Life week at our churches, this next January, in two months. Be prepared, to give lots of compassion. This 14 minute DVD has changed abortion minded clients to carry their baby to parent or planned adoption. It is powerful! So many people do not understand what an abortion really is. THE INFORMED LOOK presents the truth in a concise, easy to understand format. Carol's sincere, non-judgemental manner; coupled with her deep knowledge of this subject make this a video all should see at least once in a lifetime! Unwanted pregnancies are not real to a woman when she first finds out. Many, especially first time mothers do not understand how fast this life inside is growing. 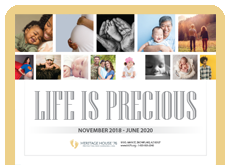 This DVD, in a non threatening way, informs her of the various procedures in aborting babies but allows them to see and understand that there is a life growing inside as well. This video conveys a very authentic message from the heart why and how abortion kills a human life. This explaination gives real facts without any hidden agendas or motives. I use it with every abortion vulnerable client/couple. Typically, when a doctor is getting ready to perform a surgical procedure, (s)he explains every detail about the procedure to the client, including risks. With abortion, however, no details are typically given about the procedure and its risks. This video fills the information void that exists due to doctors and abortion activists trying hard to paint a different picture of abortion. I have seen clients' decisions change from feeling the only answer is abortion, to head spinning from information given in this video. It is an extremely powerful tool to educate people who think their only option is abortion. This video gives much of the information that an abortion clinic should, but won't, give to their clients! This DVD is balanced, approachable, informative, non-graphic, and honest. Being both straightforward and compassionate can be challenging. This DVD nails it. Excellent video that includes a non-graphic explanation of a late term abortion procedure. Audience will understand what abortion is after watching this. Perfect length~Carol gets right to the point in an informative factual presentation. Her personal testimony at the end has already impacted so many clients at our center. Highly recommend! VERY POWERFUL. EVERYONE MUST KNOW THESE ARE HUMAN BEINGS BEING MURDERED.